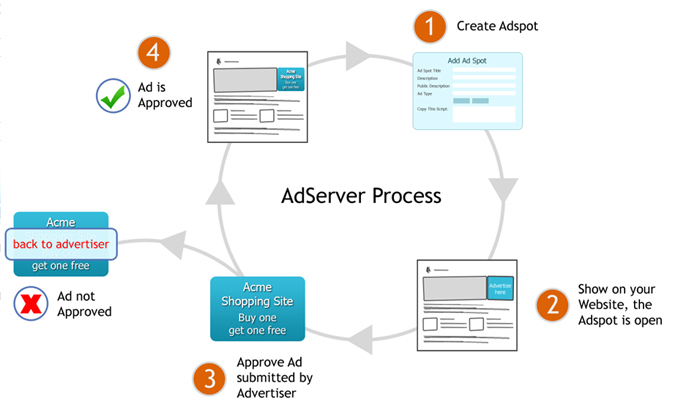 The Spiral Adserver works with you each step of the way – it manages the Ad spot creation and upload process and collects advertising revenue for all the advertising on your website. Specify whether Advertiser will be charged per click (CPC) or per thousand impressions (CPM). 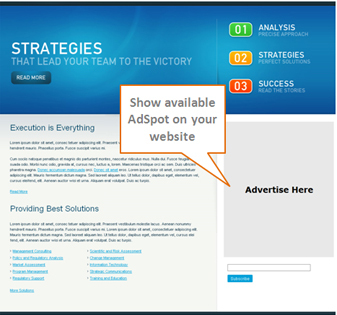 Your “Advertiser” is provided with a simple and easy to use interface to view AdSpots and create ad campaigns. Advertiser can view total clicks and impressions served for any campaign by specifying start and end date or selecting available filters such as Today, Yesterday, This Week etc. The report can be sorted according to date, and also displays the total Clicks/Impressions. The report also contains a comparison chart of top campaigns for Total Clicks and Impressions. 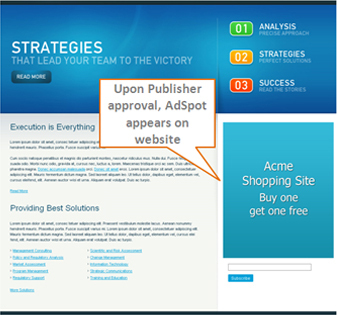 Publisher can view Total Clicks and Impressions served for each AdSpot. This report also shows each Ad Spot, total clicks and impressions received by that Ad Spot in the time span specified by publisher (i.e.Today, Yesterday, This week etc.) This report also displays the total of both served clicks and impressions. Publisher can view the earnings of each AdSpot by specifying start and end date or selecting available filters such as Today, Yesterday, This Week, Last Week, This Month, Last Month. This report also displays total earnings and revenue for each AdSpot. Each request will be tracked and logged into the database along with other necessary information such as IP Address, requesting Web site URL, date, time, etc. Powerful, scalable, yet simple to use, the Spiral Adserver allows you to take complete control of your advertising assets, and benefit from your website or network’s advertising income. Ads are delivered rapidly and efficiently irrespective of the quantity of ads being displayed on each page. The Spiral AdServer is a flexible adserving solution that helps you or your advertisers to start serving and managing ads in various areas of your website right away. The Spiral AdServer allows you to become independent of third parties, allowing you directly generate revenue. Manage all interactive marketing programs in one streamlined interface with the Spiral Adserver, with specific tools that focus on measuring campaign effectiveness, ad performance analysis, monitoring and delivery management. The Advertiser will be able to automatically add funds to their account to finance their ad campaigns using a built in payment feature, that is secure, safe and reliable. Each payment transaction is logged for reporting and tracking the history of all transactions. The Ad Server automatically checks the balance of the Advertiser that submits a campaign request. If funds are available, the applicable amount will be deducted. If the campaign Is rejected the funds are automatically refunded.